In earlier posts, I wrote about nephews who are active in the music scene. See posts A Taste of a Local Audio Experience with AudioLokal and Local Pangasinan Band ‘Leech’ at Hoppers Bar Urdaneta. For this post, out of bragging rights, I’d like to write about two nieces this time who are beauty queens in their own rights. I’ve asked them questions that would highlight their thoughts on being essential beauty queens with notable contribution and not mere persons of beauty. I believe that girls have many things to learn from each other and I’m not perfect. I do have my share of flaws. What makes her different is that she is a young woman you can look up too, a fine Christian lady despite the lack of perfection. I heard that you supported yourself in college through beauty pageants and modeling. What advice can you give to other students who are also self-supporting themselves to school? Yes, I had to do it so I can finish university. You can go to school without asking any help from your parents. Also, joining pageants and modeling while schooling at same time is enjoyable. You will meet a lot of friends and it will boost your confidence and help you earn much needed cash for college too. But what’s most important is that you enjoy and love what you are doing. What do you think about the new development in Ms. Universe where transgenders are now allowed to join the pageant? Do you think it’s OK for transgender men to join beauty pageants intended for women? I think it’s wrong if they will allow this to happen. “Gay” men will join beauty pageants but it only proves that they are not contented with what God given to them. Love yourself and be proud of it. Miss Universe was made to honor the true essence of being a woman. In relation to that thought, please know that my niece holds her Christian beliefs highly and shares the same idealism as Mirriam Quiambao. The latter was bombarded with verbal tweet attacks over Twitter, particularly from the gay community when she shared her thoughts on the subject of transgenders joining Ms. Universe. She believes that beauty pageants allow candidates to be professional and friendly despite their differences. I join beauty pageants because I want to develop my self-confidence, to discover my potentials, to challenge myself coping up with the hectic schedule, and most specially to gain more friends. I am a jolly person, friendly, and approachable. How did you manage balancing schooling and joining pageants? What advice can you give to everyone who intends to join while still in school? When I joined Bb. Binmaley (it’s a town in Pangasinan), it is really hard for me to manage time because of the hectic schedule for our practices but I made sure that I finish all my home works, projects, and examinations before going to my practice. To those who intend to join a beauty pageant while still in school, manage your time but give more importance to your studies. Are beauty pageant contestants limited to being beautiful alone and nothing else? What can you do to change this perception? 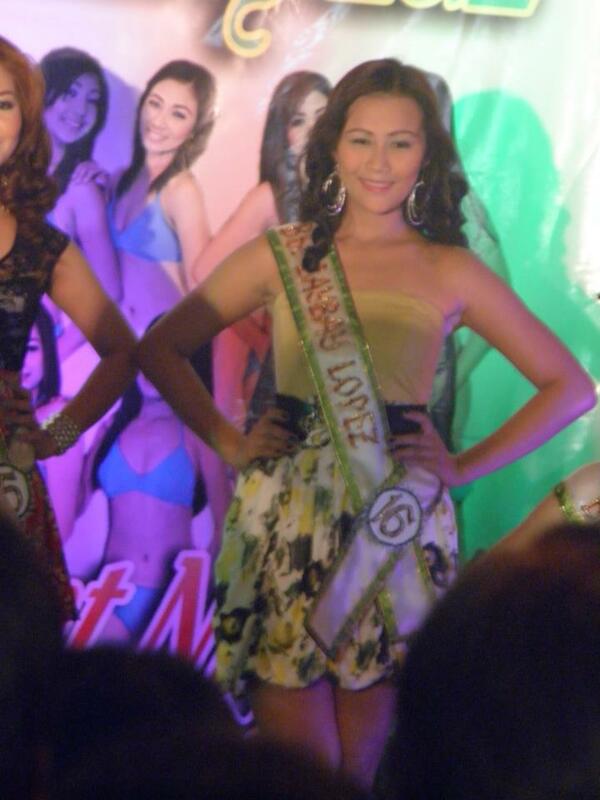 In a beauty pageant, it’s not limited to being beautiful only but instead you must also be smart. Being smart gives you the power to touch or get the attention of judges and in turn winning the pageant. I don’t agree with this new development in Ms. Universe because it’s against us ladies. Even the word ‘Miss’ means it is exclusively for us, women. So what are you busy about these days? What are your plans? I am busy in school these past few days because I am taking my summer classes in order for me to be promoted on an advanced level for the next semester. For now, I’ll just focus on my studies but if I would be given an opportunity to join another pageant, I’ll make sure I can manage both. Any words of wisdom you wish to share? For those who intend to join a pageant, try to manage your time. Just be yourself, trust in Him and He will do the rest. God bless!! Thank you nieces Mai Garcia Apostol and Madel Rosario Apostol for letting me share about you!